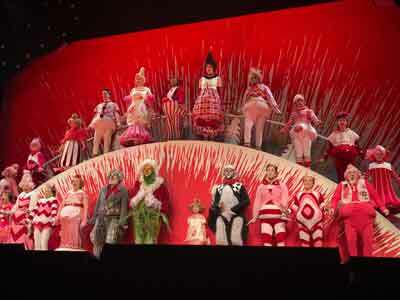 The holiday season favorite Dr. Seuss’ “How The Grinch Stole Christmas — The Musical” came to life on December 13, 2018 at Madison Square Garden’s Hulu Theater which provided an indulging intimate setting. 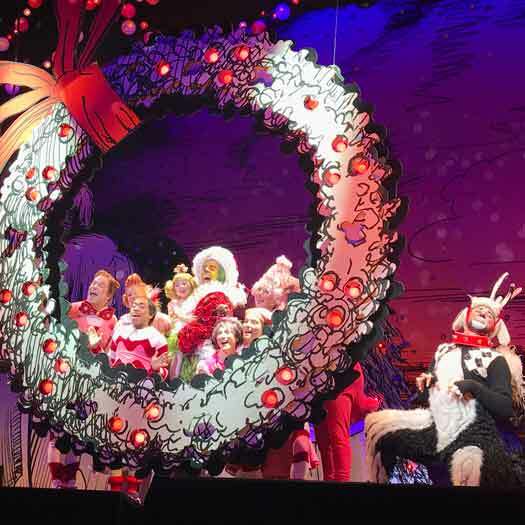 The infamous role of The Grinch was played by two-time Tony-nominated actor Gavin Lee, who was a superb choice as Lee channeled the iconic character perfectly, displaying a broad creative range. Gavin Lee was effortlessly capable of illustrating The Grinch’s evil side just as much as his endearing persona. Moreover, Lee particularly excelled in humanizing the classic character in solo segments as well as in group performances such as standouts with Cindy Lou Who, played by Mackenzie Mercer and Avery Sell, who judging by this play are both destined to have a long-term career in show business. Narrated by Max the Dog, played by Ken Land, and musically directed by Joshua Rosenblum; the moving performance introduced the age-old tale to a younger audience. Some feared the musical would come across as tawdry, the production was anything but. Whether grandparents or children, parents or millennials, all faces in the theater were glued to the stage from start to finish which ultimately led to a unanimous standing ovation. 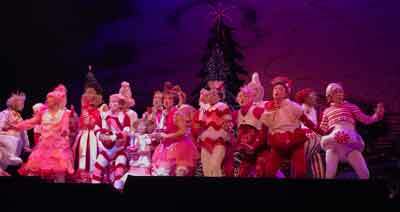 How The Grinch Stole Christmas — The Musical proved to be a top-notch production. It is ideal for those of any age. And at Hulu Theater it was highlighted by moving performances from a surprisingly stellar cast. There is something in this play for everyone, and it would be a shame if it were not brought back for another run in 2019. Maybe with an intermission this time around. Everyone involved certainly worked for it and deserve it!